The Institute of Well-being is the brain child of Her Majesty Gyalyum Tseyring Pem Wangchuck, the President of the Youth Development Fund. The Institute of Well-being provides programs of both treatments of Substance Use Disorders, and prevention of it, through modeling and promoting a holistic education process. It inspires right understanding and right living through teaching and research, of GNH Values or Universal Human Values, and celebrates humanity. 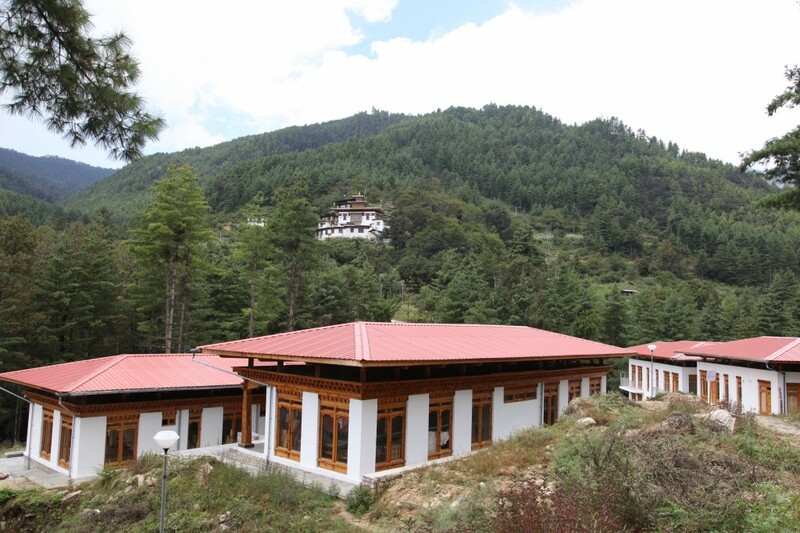 The Institute also supports organizations that aspire to develop GNH inspired conditions in their organizations. 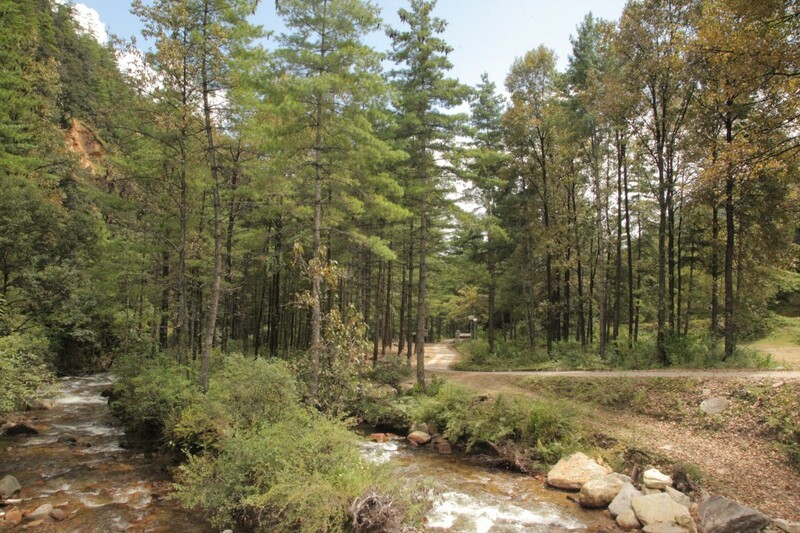 Located at the southwestern end of the renowned biological corridor – Jigme Dorji National Park, the Institute offers a variedly of other services and amenities, both physical and mental that blends in perfect agreement with the biologically rich region of Tshaluna Valley. It provides a perfect place for organizations for retreat, contemplation and rejuvenation, or for a quiet holiday weekend with family and friends. Vision: Inspire and nurture the full potential of Bhutanese Youth. 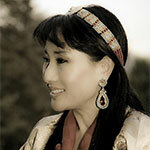 Mission: Model and demonstrate humane education and living, founded on a real understanding of GNH Values. All Programs of the Institute are based on the understanding of the truth that Human beings seek Happiness and prosperity in continuity. They need to have Right Understanding and Right Feelings in the mind and Physical Facilities to sustain their bodies. Discovering what it is to be human and living as a human being is the theme of the Institute of Well-being. The Centre for Contemplative Education works with the theme of the Institute and offers a variety of flexible course in GNH Values and Principles, and provides the foundation for the work of all other Centres. a unit of Teacher Development works intensively to develop capable facilitators who can teach GNH Values and principles, and holistic development in Bhutan and across the world. The Centre for Skills Development and the Re-integration Program focuses on skills development in a Farmer + initiative, targeting the youth (including the recovering addicts) who experience difficulty in finding employment in the modern sector. Farmer+ Program envisages youth who would consider farming as a primary occupation as a satisfying way of life, with Eco- tourism, Eco-friendly construction of houses, Bhutanese art and craft and other value added programs as well as food Processing. Live Meaningful lives, expressing their creativity and talents as fully contributing members of the Village community. 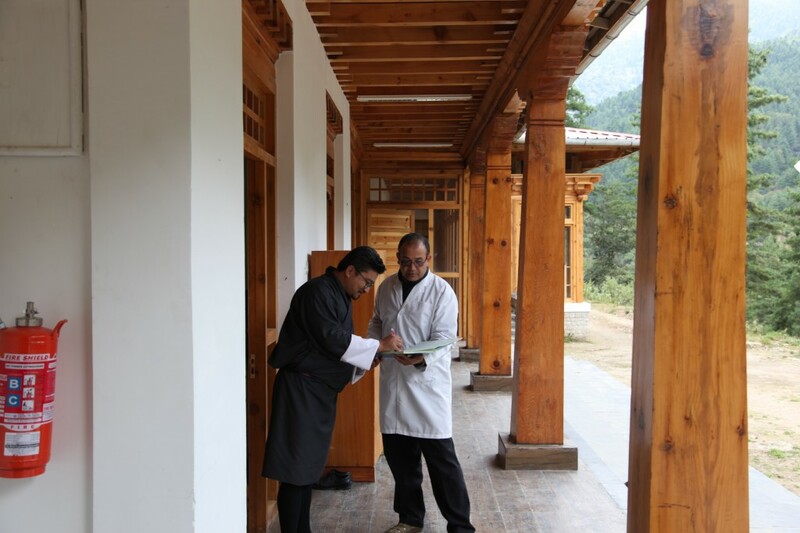 The Institute is a living model of a GNH inspired community, with activities for right understanding, and living in relation, as well as competence for production, right utilization and sharing. Through such a model, the Institute aspires to promote GNH Inspired villages and communities where there is right understanding and right feeling in each individual, prosperity in every family, fearlessness in the society, and co-existence in nature and existence. The Institute is a community of learners, based on sharing and helping each other to learn and achieve excellence in unity. The courses are flexible and their durations range from a few hours to a few years. There are no failures. All learning is based on head, hand and heart, and learning by doing, and reflecting on what they are doing. The Institute runs on a system, of limited key persons who are appointed on fixed durations of two to three years, with a large network of committed Associated Faculties, who come and resource the activities of the Institute, as required. The Institute of Well-being would be Supported by a large group of Trustees consisting of Individuals and Families who trust the work of Institute, supports its activities, who would in turn enjoy special privileges in the Institute. The Trust Fund would cover the costs of the GNH or Universal Human Values courses and no fees will be charged for theses courses. However donations would be accepted from those who undergo GNH/UHV courses which would, go towards building up the Trust Fund. – His Majesty Jigme KhesarNamgyel Wangchuck, the King of Bhutan, Convocation of the University of Calcutta, October, 5, 2010. With a special focus on disadvantaged youth, the Bhutan Youth Development Fund enables Bhutanese youth to realize their full potential as productive citizens. The Bhutan Youth Development Fund is a senior member of civil society, known as an advocate for disability rights, substance abuse prevention and treatment, education, employment, and other important issues impacting youth. The Bhutan YDF provides financial support for youth development activities like leadership and volunteerism, drug rehabilitation, special education, basic skills and vocational training, and advocacy for youth-oriented policy. 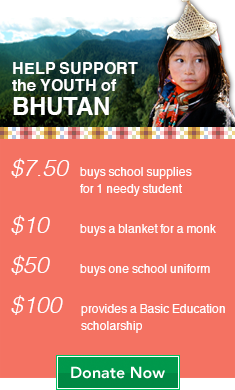 The Bhutan Youth Development Fund is committed to making every youth a leader. As Bhutan's leading youth organization, we are working to address the growing needs of our youth and ensure that all youth have equal access to education, meaningful employment and opportunities to realize their potential. Copyright © 2019 Bhutan Youth Development Fund - “A better today, a brighter tomorrow for the youth of Bhutan”.